UAW President Dennis Williams said the union is in a “continued dialogue” with several members of President Donald Trump's administration. 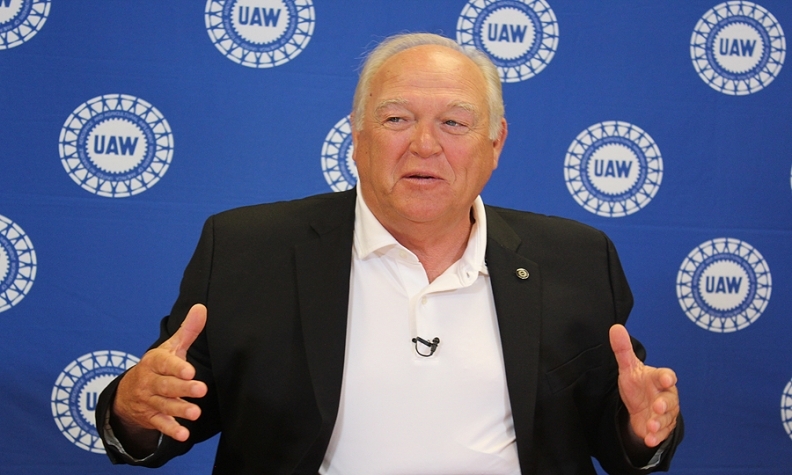 UAW President Dennis Williams says Mexico, not Canada, makes for an unfair and unbalanced auto industry under the North American Free Trade Agreement. Williams said the union is in a “continued dialogue” with several members of President Donald Trump’s administration, including U.S. Secretary of Commerce Wilbur Ross. Williams said he recently met with Ross and “had a very frank conversation” about trade, including NAFTA and making stronger worker rights a priority as it renegotiates the deal. Williams said he has had little contact directly with Trump, who he heavily criticized when running against Democratic presidential nominee Hillary Clinton. While NAFTA is the current hot-button issue, Williams said the union is concerned about fair trade practices globally – particularly with China. Several automakers, including General Motors Co. and Ford Motor Co., have started or announced plans to import vehicles to the United States from China. “I believe if they want to produce them in China that’s up to them, but sell them in China,” Williams said. He added, consumers “play a role in this,” and if they want America to flourish and bring back jobs, then they should cease buying vehicles made elsewhere and imported to America.